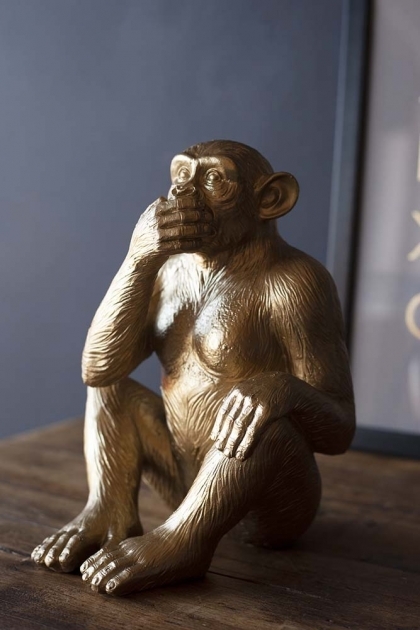 Super cheeky, the Large Gold Speak No Evil Monkey Ornament will inject humour, character and charm into the home. 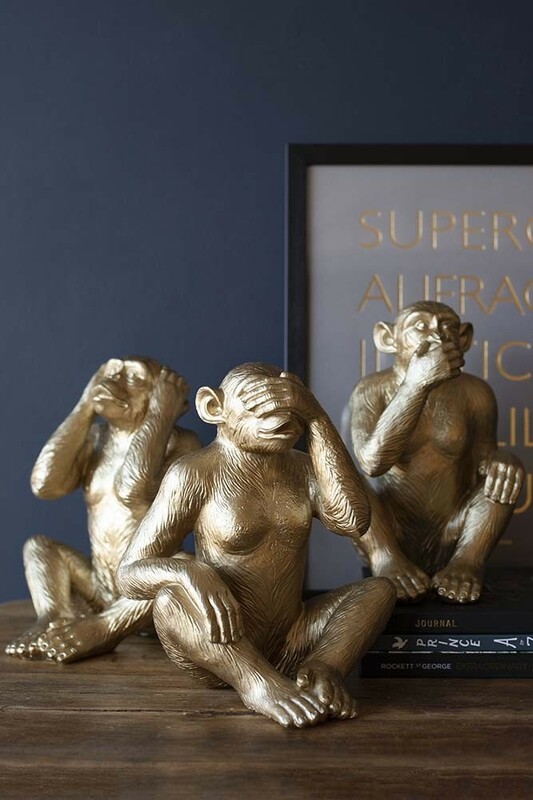 Embodying the proverb principle ‘See no evil, hear no evil, speak no evil’, this charming little fella will look great propped on top of your coffee table books, on the mantelpiece, bookshelf or just about anywhere that needs a little humour to uplift your interiors. 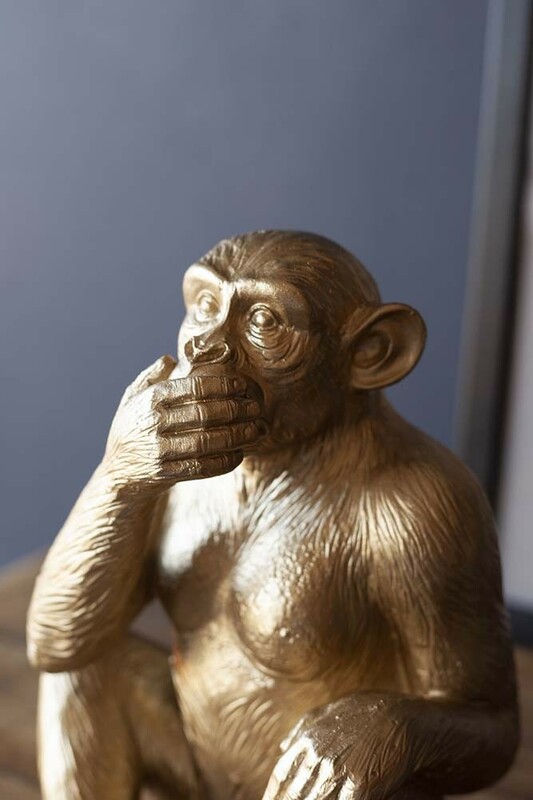 Available in three designs – See No Evil, Hear No Evil and Speak No Evil - add a little monkey business to the home!